As goes the Super Bowl, so goes the music festival, apparently. According to The Hollywood Reporter, Lady Gaga is the probable replacement for Beyoncé at this year’s Coachella Valley Music And Arts Festival. The Lemonade artist announced last week that she wouldn’t be headlining the April-set music festival due to her current pregnancy, promising that she’d instead return in 2018 after the Instagram Golden Children were finally born. Deals are apparently close to finalizing to bring Lady Gaga—and her massive stage show—in to fill the gap. 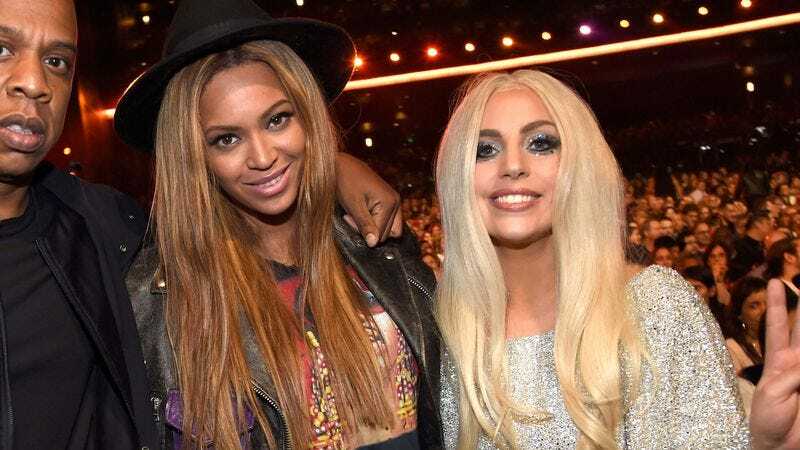 Beyoncé was originally scheduled for two Saturday night performances in Indio, on April 15 and 22, both of which will now apparently be taken over by Gaga. That also means it will be the Joanne singer and American Horror Story star, not Beyoncé, who becomes the first woman to headline Coachella in a decade, following in the footsteps of Bjork in 2007.